Martha Berry stresses how dire she is in need of donations, and hopes Mrs. Davison will help. 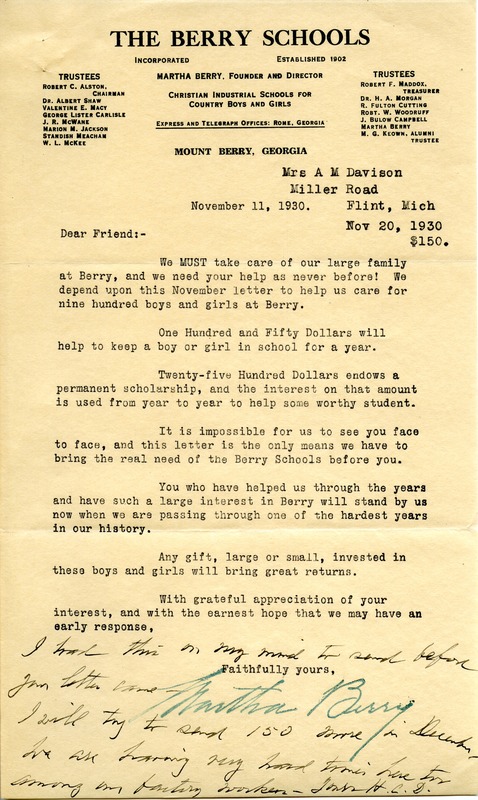 Martha Berry, “Letter from Martha Berry to Mrs. Davison.” Martha Berry Digital Archive. Eds. Schlitz, Stephanie A., Angela McCavera, et al. Mount Berry: Berry College, 2013. accessed April 21, 2019, https://mbda.berry.edu/items/show/12314.